This co-ed traditional dance is the opening of [email protected]’s 39th Culture Show “Heart of Jade” which was held on April 7, 2018. 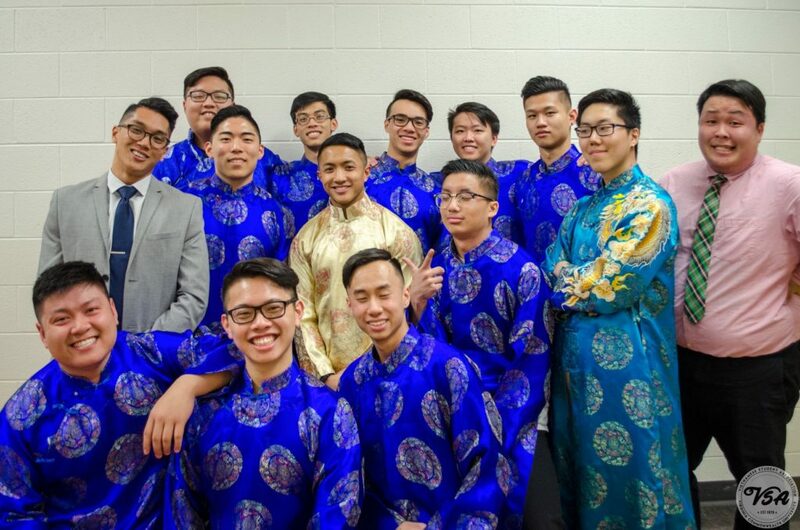 This performance includes a medley of two very contrasting songs – one being the upbeat, lively song titled, “Hai Trái Tim Vàng” sung by Quốc Khanh and Ánh Minh. The second song channels a more emotional and sad feeling, “Nơi Tình Yêu Bắt Đầu” sung by Bằng Kiều and Lam Anh. 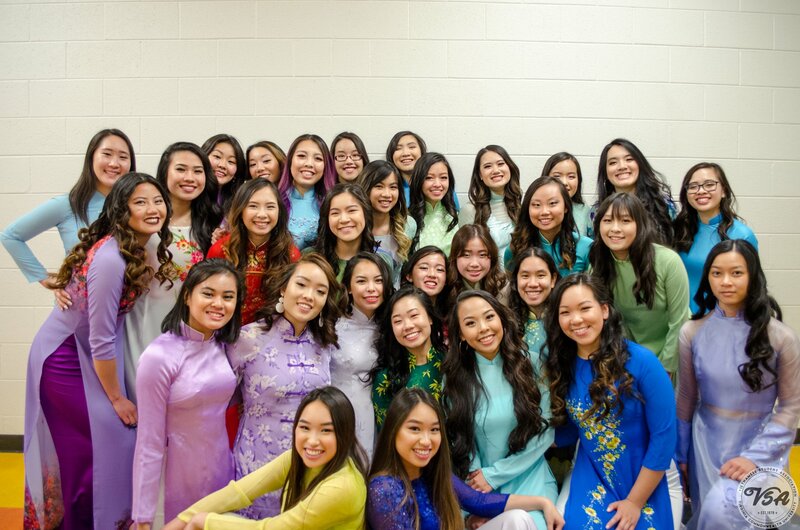 The choreographers behind this piece are twins Bernadette and Elizabeth Nguyen and with them, we had the help of the traditional dance committee leaders Kristina Nguyen and Ngan Vu who helped in running practices, planning schedules, and preparing the props we used in this dance. We would also like to give a special shoutout to a fellow MAUVSA school, Virginia Tech for lending the necessary ao gam for the male dancers. The first song depicts the wedding scene between characters Thoai (Eileen Ly), a goddess and Phi (Ariel Magalong), a mortal. Joining them in this dance are VSA members celebrating the marriage between these two individuals. This portion of the dance features non la, Vietnamese straw hats. The dance transitions to the sad song and in correlation to the plot, indicates the separation of the couple at the hands of Bao, our show’s antagonist. This portion of the dance features the use of ribbons and the slower and simpler dance moves reflect the atmosphere of the song and the emotions felt in relation to the separation of Thoai and Phi. In the final cut of this dance, we witness solo dances by Ariel and Eileen, portraying their sadness in losing the ability to see their lover for what seems to be the rest of their lives. This dance exemplifies one of our ways of exposing Vietnamese culture (through dance and music) in our culture show. Many long hours of practice was put into choreographing, teaching, and running the dance over and over. And in the process, many of our participants were able to form new friendships with each other as we strived to make the dance perfect.